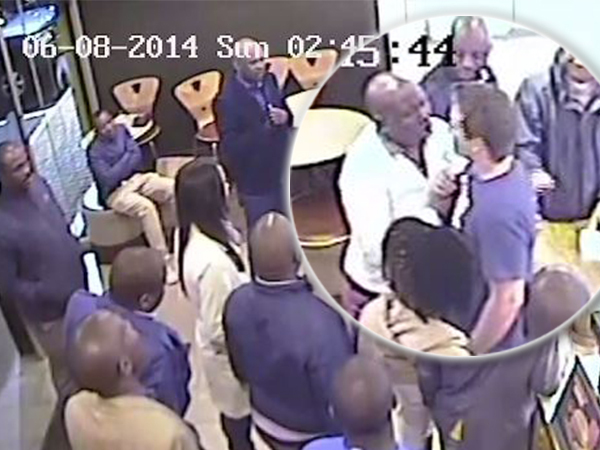 Julius Malema has once again found himself in the spotlight -- for all the wrong reasons -- after AfriForum today released a video to the media of the Economic Freedom Fighter in a scuffle at a fast food outlet. 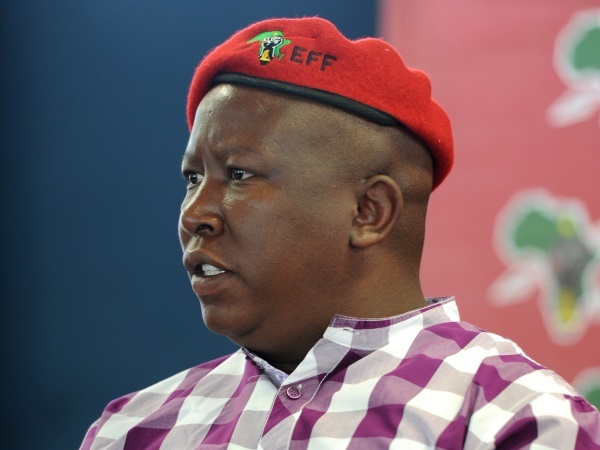 Julius Malema has once again found himself in the spotlight again -- for all the wrong reasons -- after AfriForum today released a video to the media of the Economic Freedom Fighter in a scuffle at a fast food outlet. The incident took place in Tzaneen, Limpopo on 6 August 2014. The video shows a women standing at the till of a fast food outlet appearing to be waiting to place an order. An unidentified man taps her on the shoulder and talks to her to whom she responds by shaking her head and pointing towards the exit. The man later walks away and the woman places her order and pays. The video is then fast forwarded to her beckoning at someone outside the restaurant. She then exits and Cassie Moller enters the establishment, followed by the same woman, identified as his wife. Moller then talks to the other patrons, pointing at his watch and then turns and faces the counter, talking while pointing. It is not clear who he is addressing. Provincial Coordinator for AfriForum in Limpopo, Morné Mostert assisted Moller this morning to submit the charges at the Tzaneen Police Station. Approached for comment, EFF national spokesperson Mbuyiseni Ndlozi said: "I saw that video, do you think that there is something to talk about in that video?" He promised to phone back.